South Africa is predominately a transport driven economy. This is mainly due to the vast distances between consumers and manufacturers. Commercial transportation vehicles are responsible for allowing our economy to exist and no vehicle does this better or more efficiently than the new Mercedes Benz Sprinter for sale. The 2016 Mercedes Sprinter for sale might seem like an unnecessary spend. Rivals to the Sprinter might cost less, but the Mercedes Benz Sprinter is no ordinary workhorse. 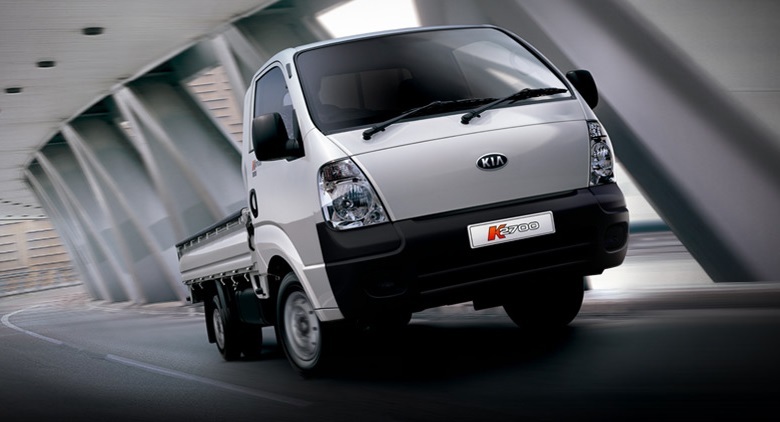 This unpretentious commercial vehicle has more than enough carry capacity and versatility. Couple this with the fact that it handles like an SUV and is deceivingly agile. You have a great transporter that will shatter any misconceptions about its ability to perform. Mercedes has two commercial transportation variants, the Vito and the Sprinter. For the purposes of keeping your running costs low but still being able to move large amounts of resources, the Sprinter is the way to go. 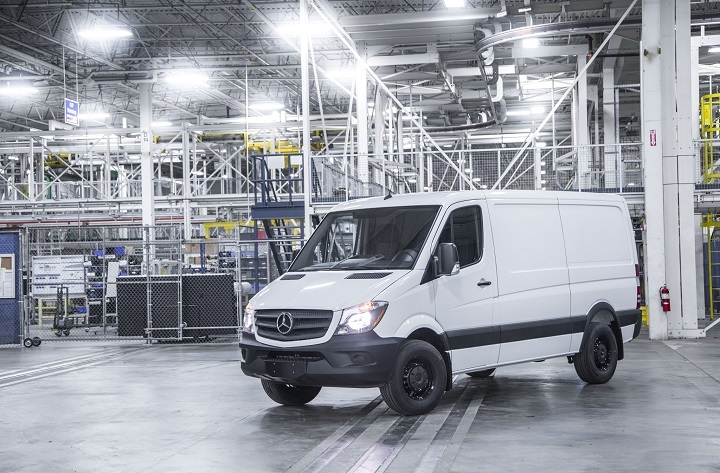 Keep reading to discover what the Mercedes Benz Sprinter can do for your business. 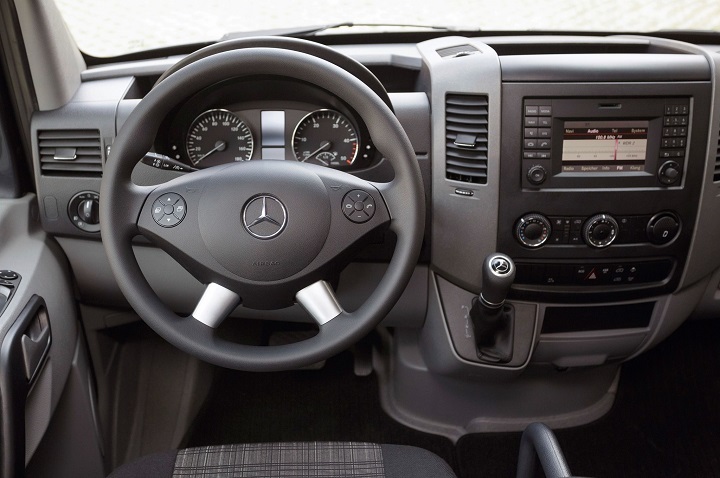 One of the best things about the Mercedes Sprinter is the fact that it’s the most versatile vehicle in its class. 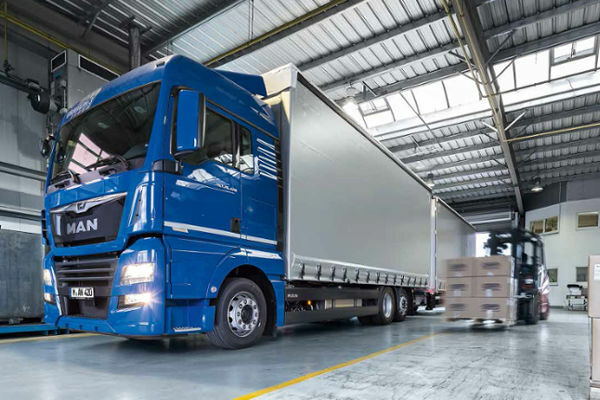 Each and every commercial company is different and this means that you need a custom solution to each of your transportation problems. The Sprinter for sale is divided into 3 types of configurations, the cargo van, the crew van and the passenger van variants. The cargo van variant has two front seats and then a completely empty cargo bay. 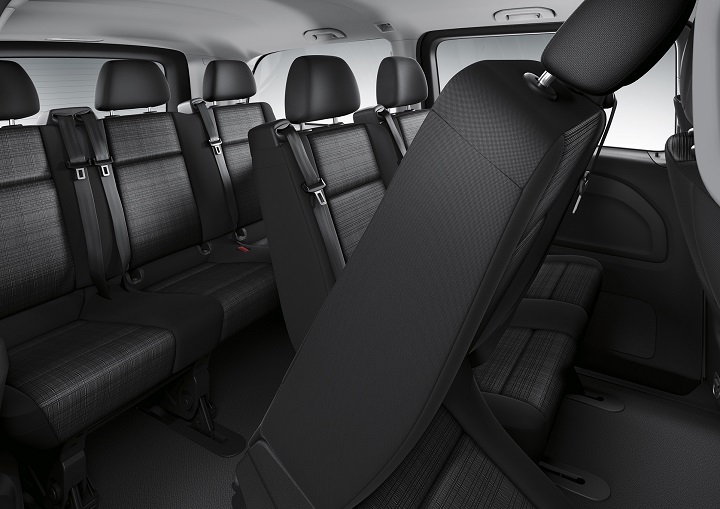 The crew van has the same two front seats but there is a three seater bench in the back which increases the passenger carry capacity to five people. Then the passenger van can hold twelve passengers as it has four seating rows that take up the cargo space. The passenger and crew variants come in two wheel base variations and two roof heights. The cargo van gets a third, extra high, roof height variant. The Sprinters are further divided into regular-duty 2500 panel vans and heavy-duty 3500 panel vans. 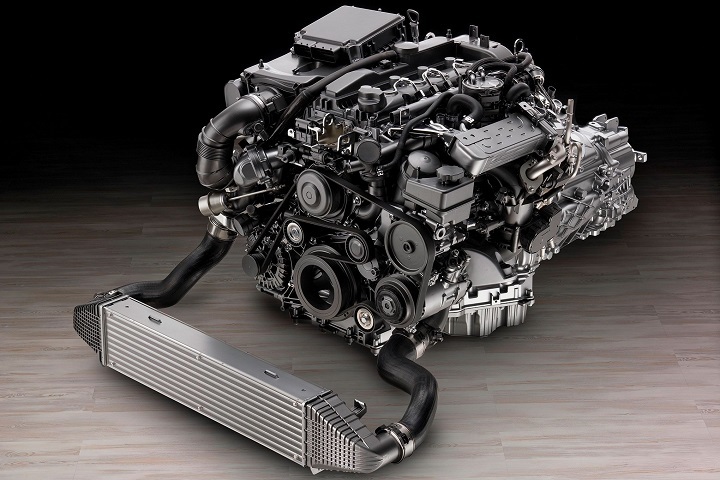 The 2500 variants have a smaller capacity and a less powerful engine than the 3500. 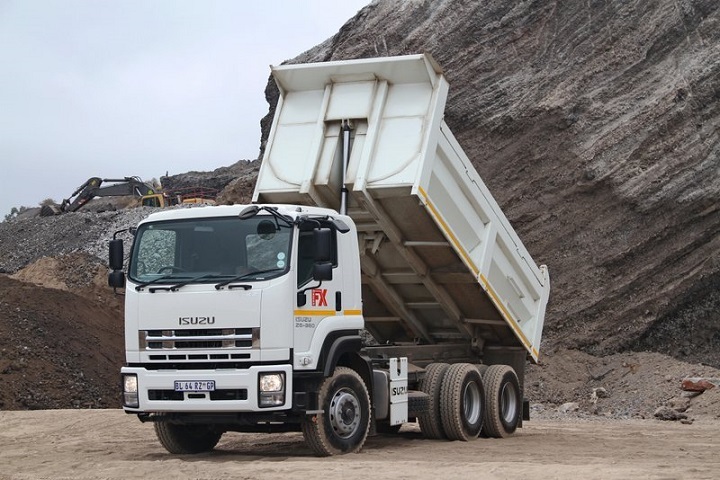 The 3500 is more powerful, bigger and longer. Your crew van variant, only available in the regular-duty 2500 setup, comes with sixteen inch wheels, a wooden floor for extra cargo, a hill start assist feature, a sliding rear door, aircon, five front speakers with an auxiliary and USB port, a telescopic steering wheel and rear doors that open up to 270 degrees for easy passenger access. Then it has a second row of bench seating and extra side windows. The passenger van is the same as above and can only be bought in the regular-duty 2500 setup. The difference here is this passenger van has three seating rows with tinted rear windows, interior trim and eight more speakers in the rear of the car so your passengers can also get their dance on. Lastly we have the cargo van which is available in regular-duty 2500 and heavy-duty 3500. 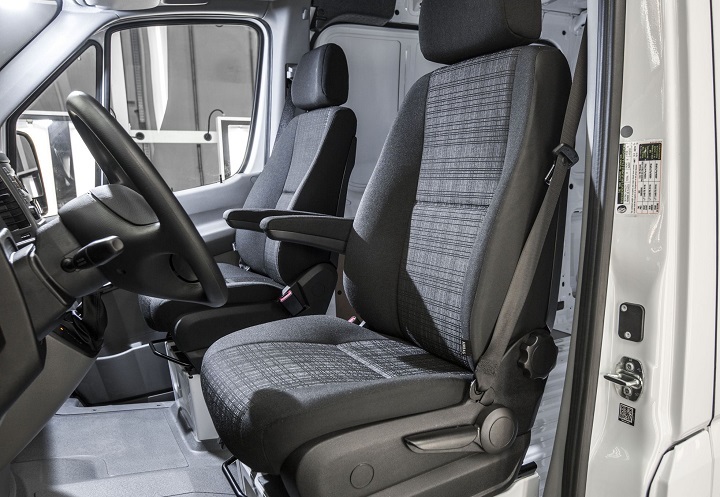 These have everything the crew van has but without the extra seating space so the cargo floor extends all the way from the back of the driver’s seat to the rear of the vehicle. The optional extras in the Mercedes Sprinter for sale are immense. Which makes sense when you think about how versatile the vehicle needs to be. These extras include heavy duty suspension, a heated windshield and power mirrors, xenon headlights and fog lamps. You can get rear door windows with wipers and washers, a package for cutting edge driver safety aids, automatic headlights and wipers, cruise control, a rear cabin heater, upgraded front seats and an optional heater for the front driver seat. All passenger seats can be also be separately heated and lastly a navigation system can also be selected as an extra. Those who buy the crew van variants have even the choice of various interior storage options like extra driver-compartment partitions, a roof fan, a fixed rear sunroof and sturdy roof rails. The passenger van can be equipped with rear air-conditioning for use by the passengers on long trips. 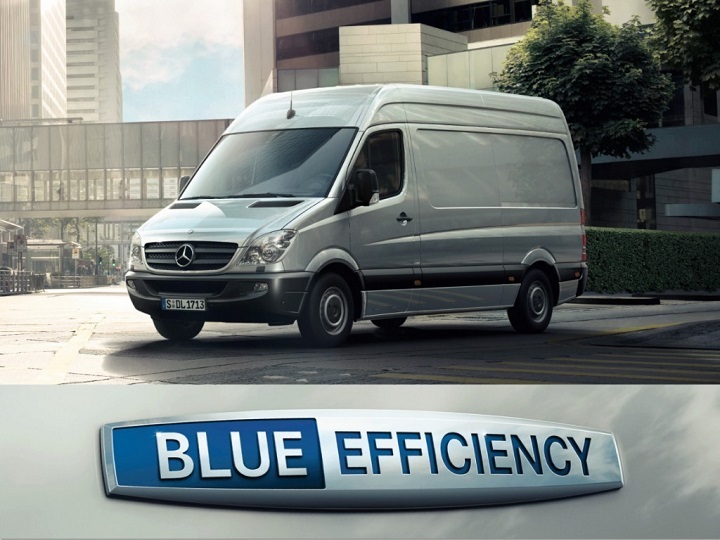 One more feature on the Mercedes Benz Sprinter for sale is the fact that you can opt for the BlueEFFICIENCY Package from Mercedes Benz. 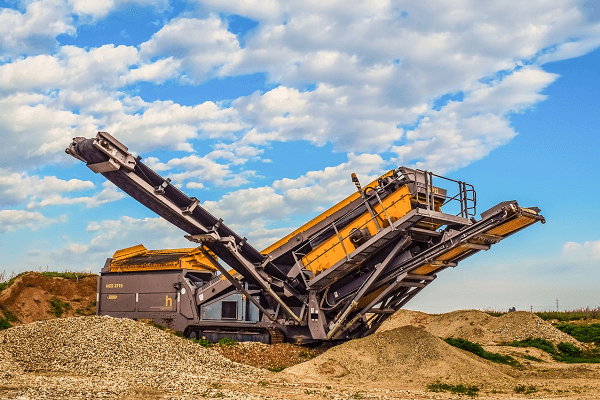 This is designed to reduce your fuel consumption and CO2 emissions. If you want to further increase your company’s bottom line, this package will do the trick. This package is unfortunately only available on the diesel CDI engine variants. You get the following money saving features: an ECO power steering pump with a start-stop function that switches off the engine when you are idling. A fuel pump control in the cabin, reduced rolling resistance tires and a special alternator that has been designed to save fuel. 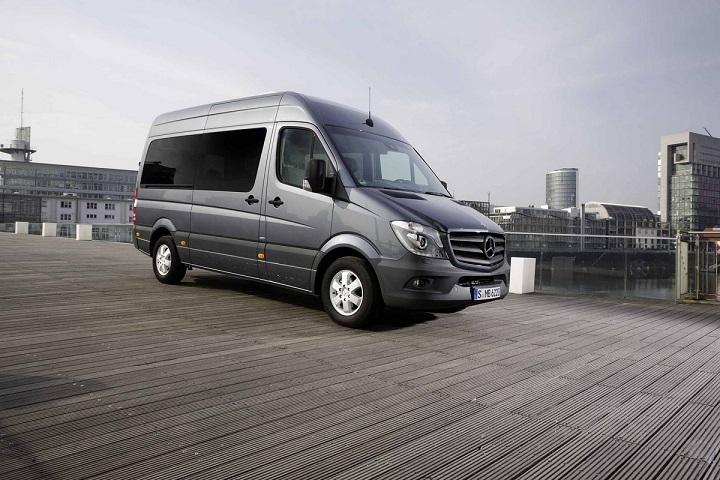 Mercedes is known for making their cars as safe as houses and the Sprinter is no different. 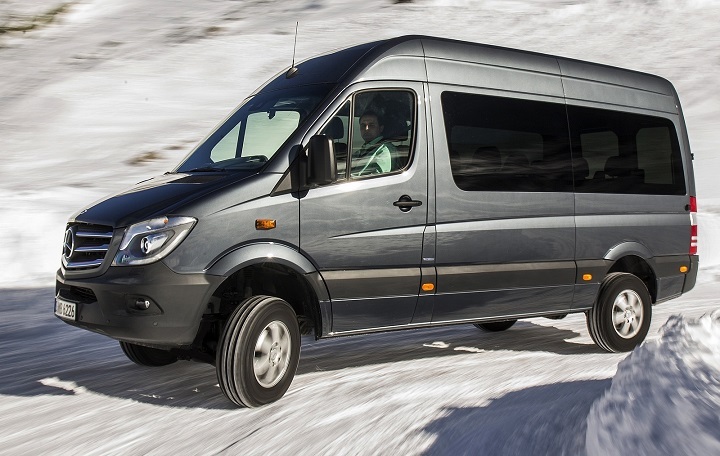 As a standard in the Mercedes Benz Sprinter, front airbag, a rollover cancelling system and stability/traction control. Then all Sprinter 2500 models come with crosswind assist and curtain airbags on the sides and front and sides of the cabin. The optional safety extras are parking sensors in both the front and rear, a rear view camera. Mercedes Driver Assistance package will give you a forward collision warning system, blind spot sensors with lane departure prevention and a high beam control that is automated in dim or dark driving conditions. Yes, the Sprinter for sale is a commercial transport vehicle so why make the interior comfortable at all? Well, the people using this car will be spending an inordinate amount of time in the cabin so it needs to be comfortable and it’s been shown that this actually increases productivity and delivery outputs. Then you need to keep in mind that Mercedes doesn’t do anything with half effort. The build quality in the Sprinter is amazing for its segment. The cabin feels modern and comfortable. The steering wheel is tilt and telescopic enabled so it can be customized to fit the driver’s preferences. Couple this with the multiple seating arrangements and the adjustable seats, you have a very comfortable cabin that can be manipulated on the go. The controls and console are more similar to an SUV and a transport vehicle but at the same time, everything has been kept simple and basic for ease of use and long term durability. In terms of carrying capacity, the standard configuration Mercedes Sprinter cargo van has a maximum cargo capacity of 9 cubic meters and the largest configuration (with the biggest wheelbase and the highest roof option) will get you 17 cubic meters. The massive sliding door and steps make it a dream to get in and out of the Sprinter. 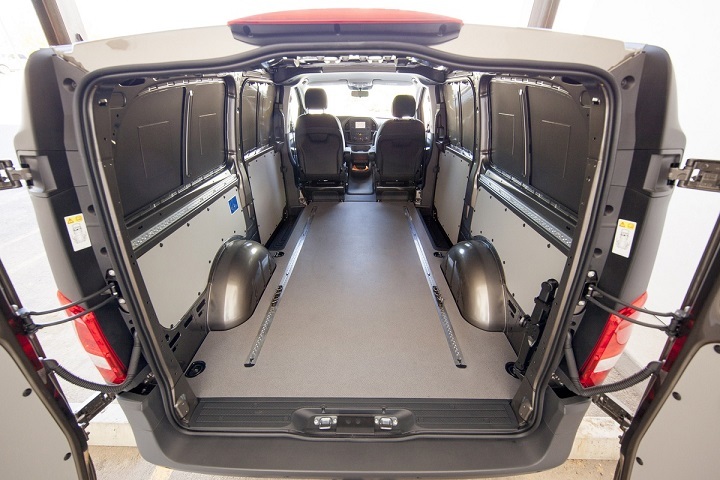 The ceiling height as a standard is 2 meters, if you select the Cargo van’s super high roof option then you get a whopping 2,2 meters of space. That means that even your average basketball player can comfortably stand up inside the car. The Sprinter for sale is not a small vehicle by any measure. When the Sprinter is configured to its biggest capacity (largest wheel base and highest roof specification) then you have a lot of car. Despite this, the Sprinter handles surprisingly well. The good driving position you can create and the great handling make the Mercedes Sprinter for sale easy to maneuver. If you take the optional driving aids like the crosswind assist into consideration, then it becomes even more agile. If your business could benefit from the amazing economy and versatility of the Mercedes Benz Sprinter then it’s time to find one for sale. Browse through Truck and Trailer’s ads to find a Mercedes Benz Sprinter for sale that will meet all your business requirements. Don’t forget to download the Truck and Trailer App from the GooglePlay Store for a user-friendly browsing experience on-the-go. It’s nice to see that Mercedes Benz provides so many options for their new Sprinter van. With so much versatility, it seems that other commercial van manufacturers would compete on price, but at what cost in quality? Thanks for sharing. It’s only a pleasure. 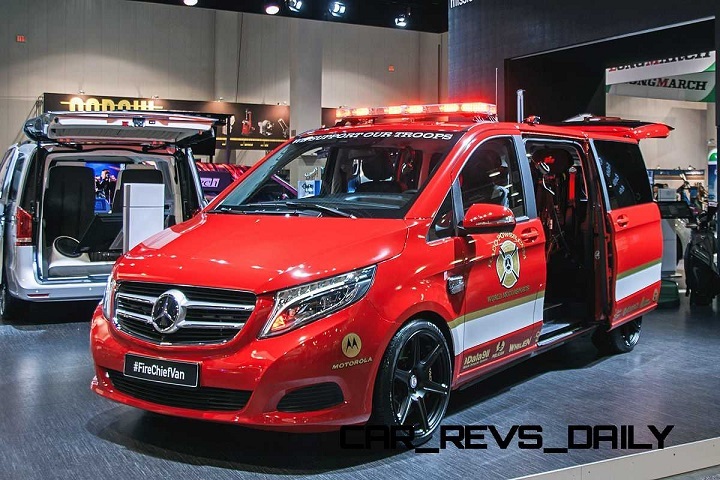 As you can imagine the quality of the Mercedes Sprinter is good, that’s why they make great ambulance vehicles. But this category is vast and other manufacturers produce vans that are just as good. At the end of the day it will come down to personal preference and also what you need to get out from the van. Which kind of Mercedes Benz you have?? 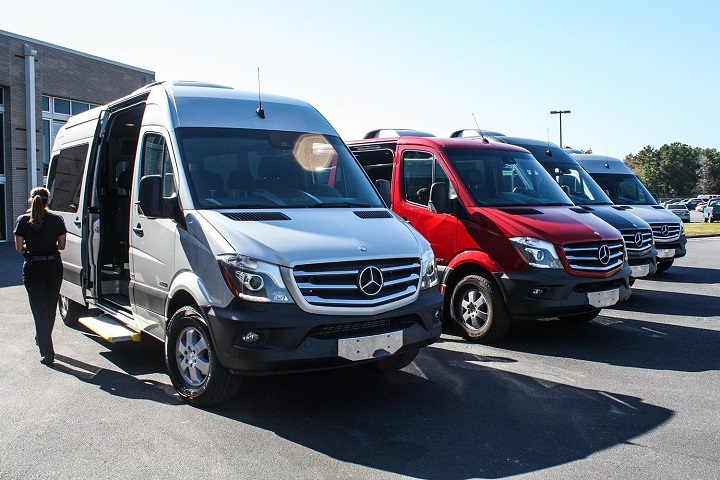 There are many more reasons to hire a Mercedes-Benz Sprinter van, when you are going with your big family for a road trip. It has enough space. The vehicle’s safety feature is par with its own kind. It has a multifunctional camera in the windshield in order to smell an unintentional drifting out of the lane, giving out a signal to the rider, if it acknowledges a lane departure. I am not sure, but some of my friends say the vehicle demands regular maintenance. So, if you want to have this kind, you should seek help of a auto professional. Thank you for the additional information, we’re sure our readers will find it helpful. Thank you for visiting Truck & Trailer.